Some 11 years after the news came out that George W. Bush got special privileges and got into the Texas National Guard, anybody you would ask about this issue would say the same thing. Of course Bush got special privileges to avoid the Vietnam war, his father is George Bush who was the head of the CIA and very politically connected. This is how things work for the rich and the politically connected in this country; they can get out of a horrible war like Vietnam and avoid getting killed or horribly maimed for life. In 2004 the United States was in the middle of a big election between John Kerry and George W. Bush who was running for his second term. Unfortunately for the United States, John Kerry was not a strong enough opponent to run against Bush and Bush won the election. On top of this, we were in the beginning stages of the Iraq War which would drag on for many more years and cost this country trillions of dollars and many more lives. One could argue that were it not for the Iraq war, Bush would have never won the election in 2004. 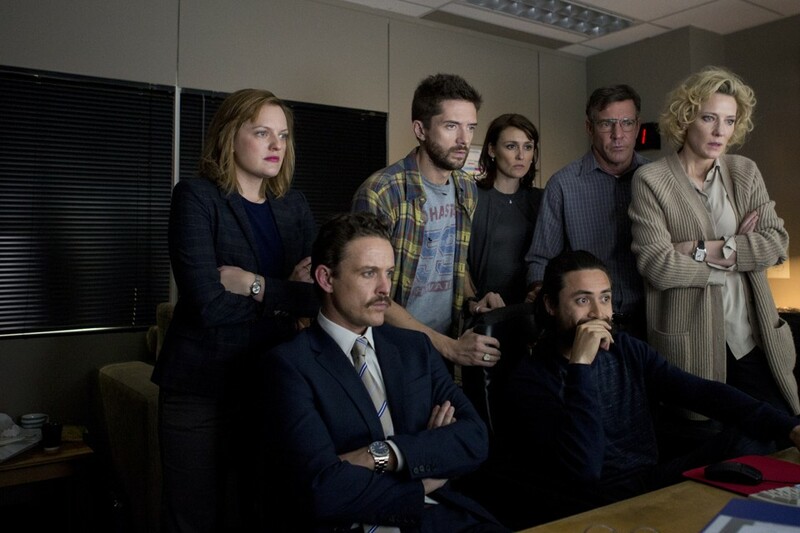 The movie “Truth” is about a story on 60 minutes anchored by Dan Rather that claimed that there were documents that proved George W. Bush not only got special consideration for getting out of the Vietnam War by entering the Texas National Guard, but also did not meet many of the requirements that he had to meet to stay in the National Guard during the 6 years he was in the service. CBS News had one witness who turned out in the end to be lying about some of the sources of these documents and the validity of how they were obtained. It was in fact true that Dan Rather’s friend and producer Mary Mapes; played very well by Cate Blanchette, and her team made several mistakes in verifying all the statements and documents involved in this very complex case. But it is also clear that whatever this CBS team did in verifying all of the facts of this case; this was what they normally did for all stories and that included getting other verbal statements on the record from military officials including Air Force Generals to verify that the statements in these documents were true. Soon after this story came out, several bloggers came out stating that the published documents were fake because the type and character fonts were not available in 1973 when the documents supposedly came out. This was later proved to be untrue, but by then political pressure became too great and the US Military officials who originally verified that the documents were true, started to recant their stories and refused to go on television to support what they originally said. What then followed as a witch hunt where many people lost their jobs including Mary Mapes who never worked in Television Journalism again. The worst tragedy of all was that Dan Rather lost his job as the anchor of CBS news which he had held for 24 years, the longest anchor in television history. Of all the people involved with this scandal it was the biggest injustice that Dan Rather had to lose his job because a good deal of his job was to rely on his producers, researchers and reporters who support what he does. The end of this movie concludes with a huge investigation of Mary Mapes and the best scene was when she defended the documents that were in question by stating a long list of things that any forger would have to know about the Military and inside information from some 30 years earlier in order to trick CBS News into believing that the were accurate. This list is so long, that any semblance of common sense would convince anyone who was not convinced already, that the documents in question about George W. Bush’s military service were in fact true. George W. Bush, probably because he was an admitted alcoholic in the 70’s, did receive special privileges to not only avoid the Vietnam War, but to also avoid his required duties in the Texas National Guard. In the end, none of this mattered and Mapes and her entire staff were fired from CBS and some time later, Dan Rather stepped down as the anchor of CBS news. All things being equal it seems that CBS went after the wrong president; because what they should have remembered from the 2000 Presidential election is that politics wins over what is right, every time. George W. Bush was given the presidency by the US Supreme Court, despite the fact that he lost the popular vote and would have lost the Electoral Vote should the votes in Florida had been counted to completion. Considering what happened to the United States in Bush’s second term, culminating with the financial crisis of 2008 is the real tragedy. It is also suggested that Mapes could have brought out this investigation of Bush before his first term in office which could have meant that Al Gore would have won the Presidency that year, but her mother died and she was not able to put out the story. Another sub plot of this movie were the stories of Mapes father, who use to beat her and her sister during their childhood and who later came out against her when this scandal first exploded in the press. A very touching scene was when Cate Blanchette begged her father on the phone to stop bad mouthing her to the press with a simple “Daddy please stop”. I highly recommend this movie and both Robert Redford who played Dan Rather and Cate Blanchette did excellent jobs in their roles. Both Dennis Quaid and Topher Grace were also very good in their co-starring roles as well.